IME Tweaking is now rampant among Android Users; this could be seen as Android Jail break to cheap data and other services. 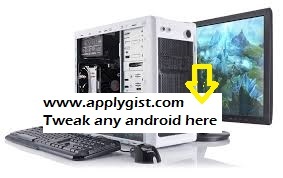 In view of this, we bring to you other dynamic tutorials on how you can tweak any Android phone. Most of the times, some phones tend to resist tweaking codes, but today that madness will end. On this post, we will give you our IMEI software that is available for free downloading. Most cell devices are using 15 digits combination IMEI number, but in some cases you may find out specific cell devices that contain even longer IMEI numbers. You will get a New IMEI number. It makes an android phone not blacklisted. You can buy cheap android phone, change his IMEI number and use it. It is how to get a completely new android phone. The android phone company will not have any information’s for your device. You will have a brand new cell that is not reported like lost or stolen. The tool works on any android phone that has this number no matter the android phone model. This IMEI number changer works on locked cell phone on any carrier in the world. You can get information about some cell phone that you want to buy.. This process can remove the lock on your cell device. First of all, write down your present IMEI number; to get it dial *#06# on your keypad. Connect your android phone to your PC via USB cable. Start the changer IMEI on your PC. Put your IMEI number, country and carrier in empty spaces. After changing IMEI process you will get your new IMEI code in the changer window. The changer works on any android or iOS version so you can change IMEI number on any cell phone or iPhone. Was this helpful?? Did it work for you?? Then like share and comment bellow on any suggestions or questions. Next articleHow to unlock Any Software free using the new 2016 Universal KeyGen Generator.